A huge quality second-hand book sale. 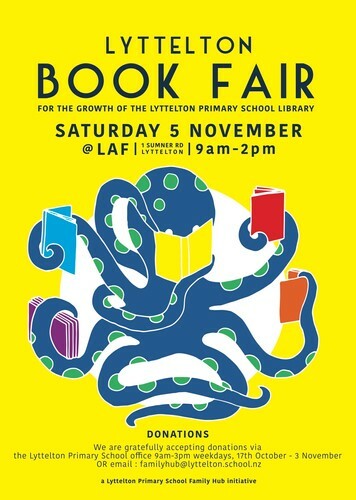 A major fundraiser for the Lyttelton Primary school library. Donations accepted 18 October - 3 November via the school office, weekdays 8:30am - 3pm or email - familyhub@lyttelton.school.nz.